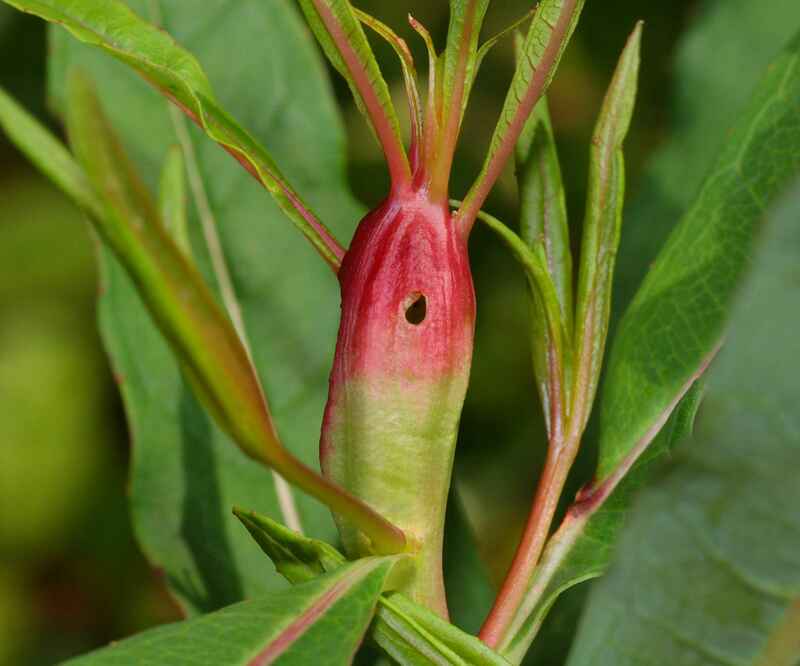 DESCRIPTION: These primarily pink galls appear in early summer and are caused by a micro moth of the Momphidae family. Each swelling (found mainly high up on the stem) contains a single larva that pupates in or on the soil at the base of the plant. The insect overwinters in the adult state. The moth was first identified in Britain in 1950. DISTRIBUTION: Frequent throughout southern Britain. HABITAT: On stems of Rosebay Willowherb.